When it comes to reality shows, we’re Team Competitive over Team Housewife any day. In other words, we pretty much only watch shows that pit people against each other toward a goal of making their lives better, not trying to see who can be the biggest bitchy fame whore. Whether’s it’s crafting on Making It, sewing up a storm on Project Runway, or making the best five-course meal ever on Top Chef, no amount of Kardashians can ever compare. But above all other reality TV challenges, Amazing Race maintains its spot at the top of our list. Partly because we love to travel and meet new people in different cultures. Partly because host Phil Keoghan can still fill out the front of a pair of khakis like nobody on television. 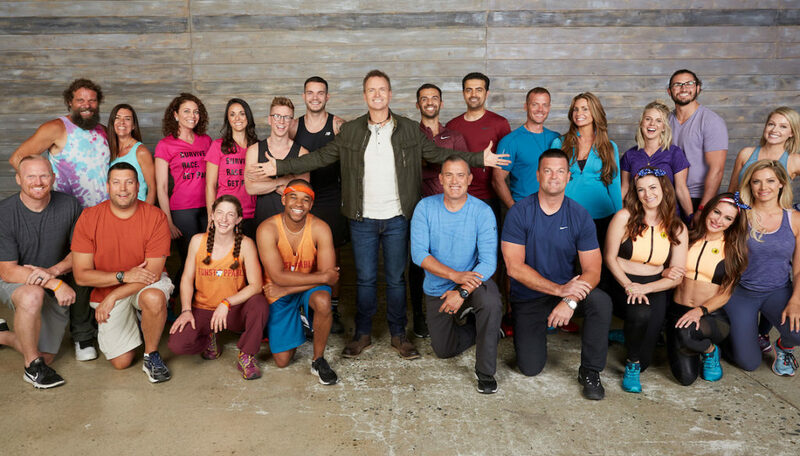 This year marks the show’s 31st season and brings together teams of two who have appeared on The Amazing Race before, or CBS sister shows Survivor or Big Brother. Every network exec loves a built-in fanbase before a show even starts, right? One of the things we’ve always loved about Amazing Race (and Survivor and Big Brother for that matter) is their casting of LGBTQ players. This season will be no different. Brett LeBelle, a conservative gay cop from Survivor will be after the million-dollar prize, as is one of our all-time favorite pairings, gay BFFs Tyler Oakley and Korey Kuhl (pictured at the top). We’re not familiar with LeBelle because we stopped Survivor years ago so for now, our gay vote goes to the entertaining cuties we already know and love. We’ll be cheering on Team Tyler & Korey at every Detour, U-Turn, and Fast Forward. And also dreaming of date night with Phil.